This veggie’s greens can be eaten too, either cooked or raw. 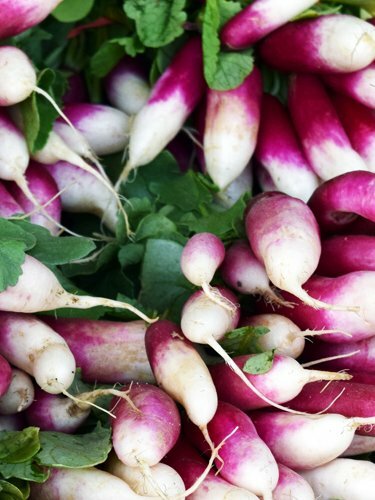 Choose smooth, brightly colored, medium sized radishes. Attached tops should be green and fresh looking. Refrigerate radishes in plastic bag for use within 1 week. Remove tops before storing. Fat free; saturated fat free; low sodium; cholesterol free; low calorie; high in vitamin C.